Asset tracking and its application have come a long way since 2010 when we launched our first TTU-1230™ to enable simple trailer tracking. With improved technology brings greater versatility and new use cases for companies to apply smarter asset tracking devices in the field to spur new innovative IIoT applications for remote monitoring. CalAmp recently refreshed our popular TTU-1230™ with LTE Cat 1 to enable flexible features and benefits that not only extend performance, but improve efficiencies in operation and functionality to ensure reliable and robust connectivity for assets. Our new TTU-1230™ LTE is a value-based asset tracking device incorporating precise GPS technology and LTE Cat 1 cellular connectivity to keep assets connected at all times. Best suited for long-term, multi-year deployments with a rechargeable internal 5.2 Ah battery pack supporting long standby times when unpowered, and its IP 66 sealed enclosure allows for tracking in various climate environments for a wider range of applications. With integrated internal antennas and an optimal size of just 3.15” W x 4.33” L x 1.59” H weighing 19.5 oz., this device can be quickly mounted virtually anywhere while maintaining excellent field reliability. The TTU-1230™ LTE comes standard with PULS™ for automatic over-the-air firmware updates. It includes our industry-leading technology of impact detection with the triple-axis accelerometer that measures motion, aggressive acceleration, hard braking and more. Customers will be able to extract more insights with PULS right from the start, giving them access to information that can increase their efficiencies across their entire operation. Additionally, the TTU-1230™ LTE employs CalAmp’s industry leading edge intelligence engine, PEG™ (Programmable Event Generator). This advanced events engine monitors external environmental conditions and supports customer-defined exception-based rules to respond instantaneously to pre-defined threshold conditions related to time, date, motion, location, geo-zone, input and other event combinations. This behavior is programmable by CalAmp before shipment to a customer’s facility, or over-the-air once the device is active in the field. 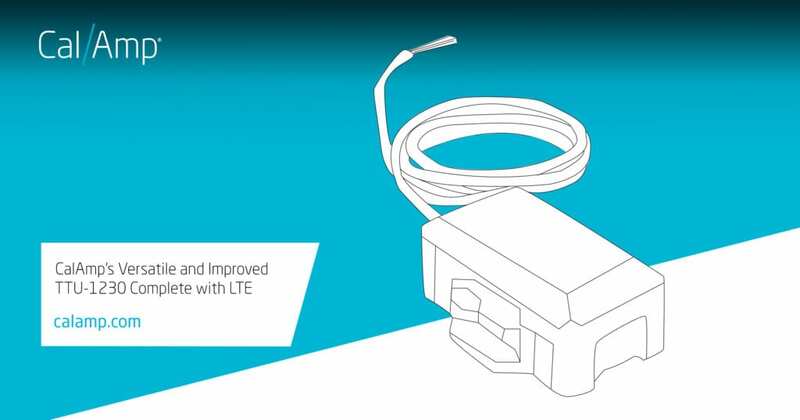 Learn more about CalAmp’s TTU-1230™ LTE device here. View our family of asset trackers here. Contact us here if you would like to discuss your asset tracking needs with our team.